While it’s hard to shop for your boss or mom during the holidays, finding the perfect gift for the little ones on your list can be just as challenging. While we’re sure they want toys and tech gifts, we’re also sure their parents have that department covered. So instead of adding a toy to your shopping cart, try giving them the gift of style, aka clothes and accessories that will make them the most fashionable kid you know. Selecting the perfect gift for kids doesn’t have to be complicated, we have you covered. From chic jackets to adorable backpacks they’ll want to carry around to accessories their parents might not pick up, there’s something for everyone. 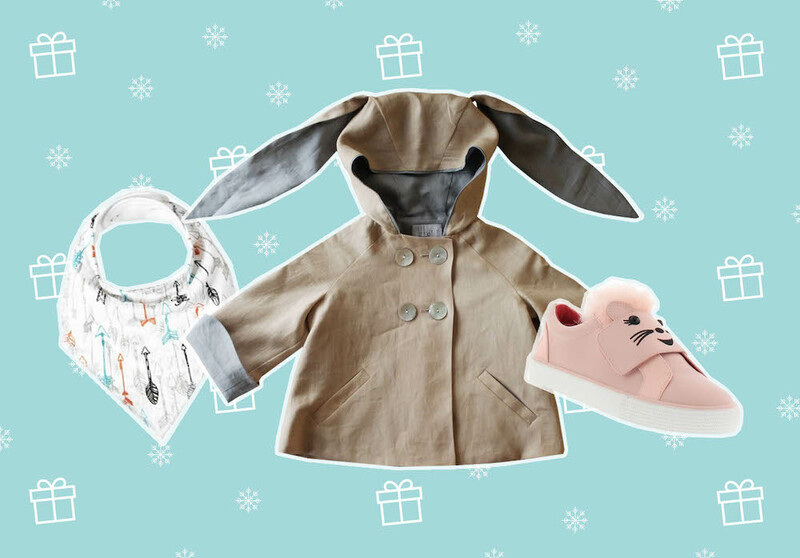 So, whether you have an outdoorsy explorer or fashion editor in the making, here are 30 gifts fashionable kids will love. 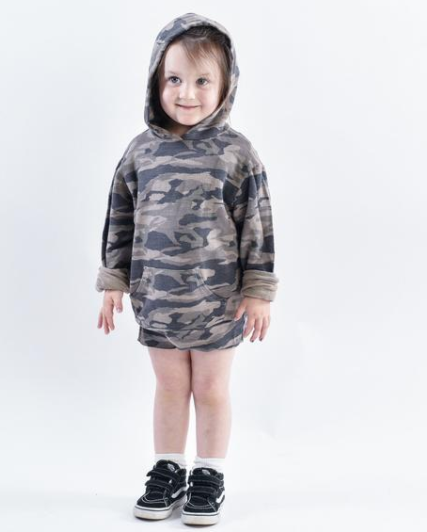 This super soft camo pullover is perfect for kiddos who love comfy and cozy clothes. 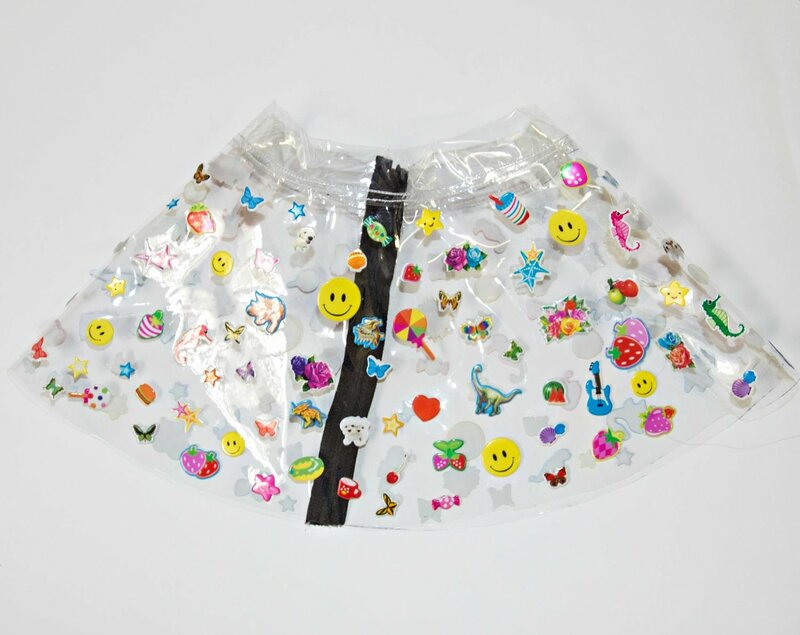 If you got a little trendsetter on your list, chances are they’ll truly adore this fashion-forward (and not to mention super adorable) skirt. 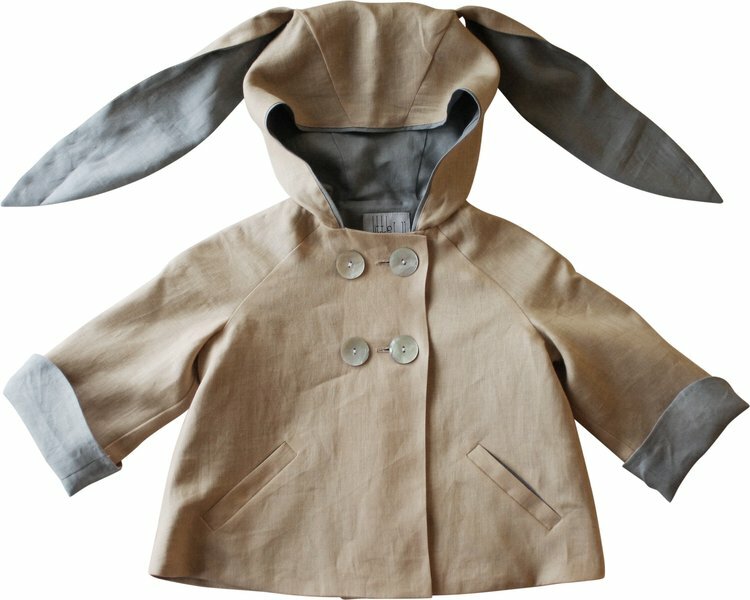 Dress up your toddler in this freaking cute raincoat, which features two bunny ears on the hood. 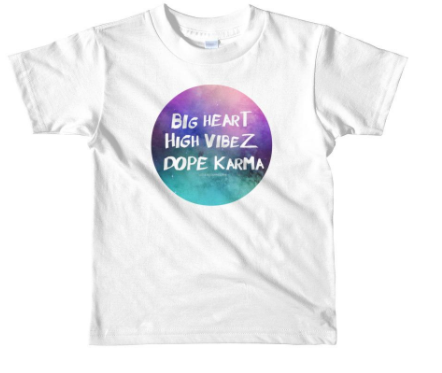 Available in five different colors, it’s safe to say that all your nieces will love this amazing shirt. 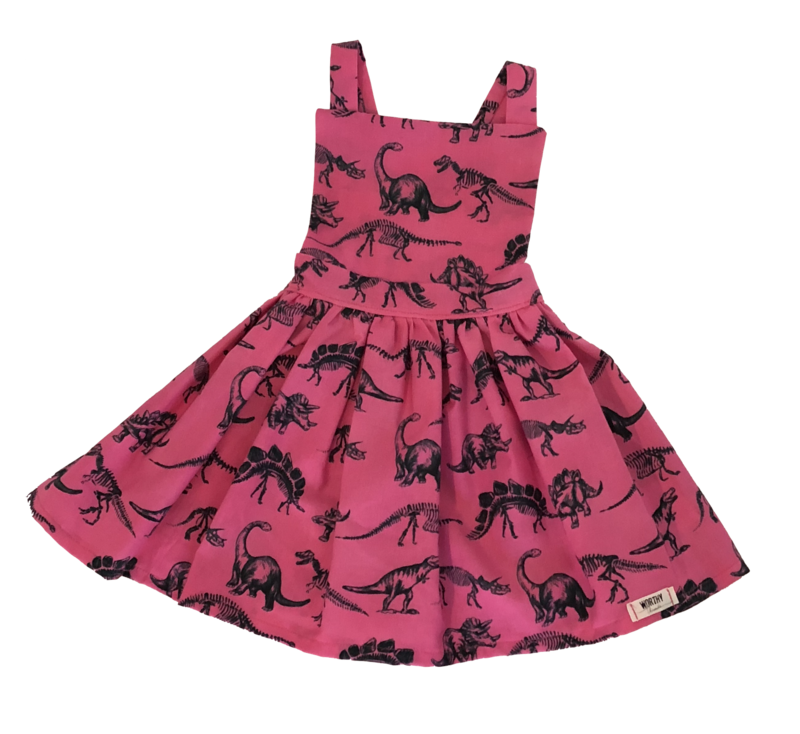 Let the little one on your list show off her attitude through this fierce Betsey Johnson two-piece skirt set. 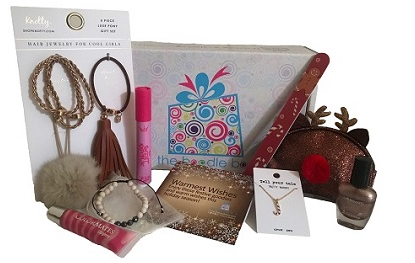 This monthly subscription box is perfect for little fashionistas, as it treats girls and teens to fun accessories and age-appropriate beauty products. 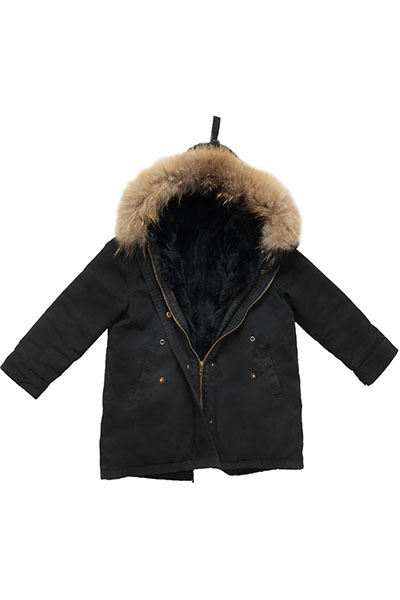 Keep your nephew warm all winter long with this super snuggly parka coat. 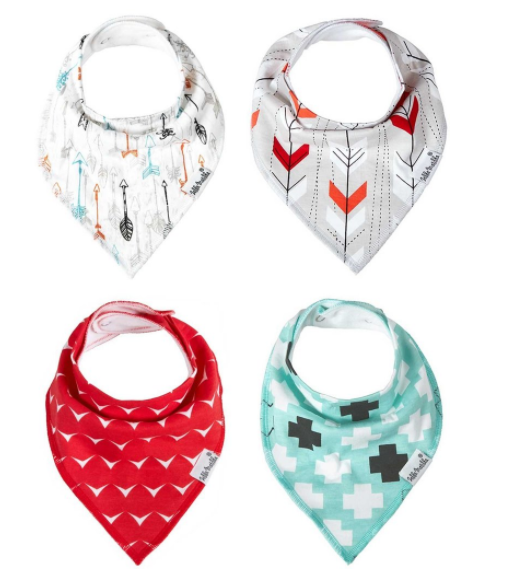 This stylish bib set makes the perfect gift for new moms this year. This festive Christmas set is a great gift. Who doesn’t want to be comfy and look festive this time of year? This is perfect for anyone who loves dinosaurs but has way too many toys of the extinct animal. 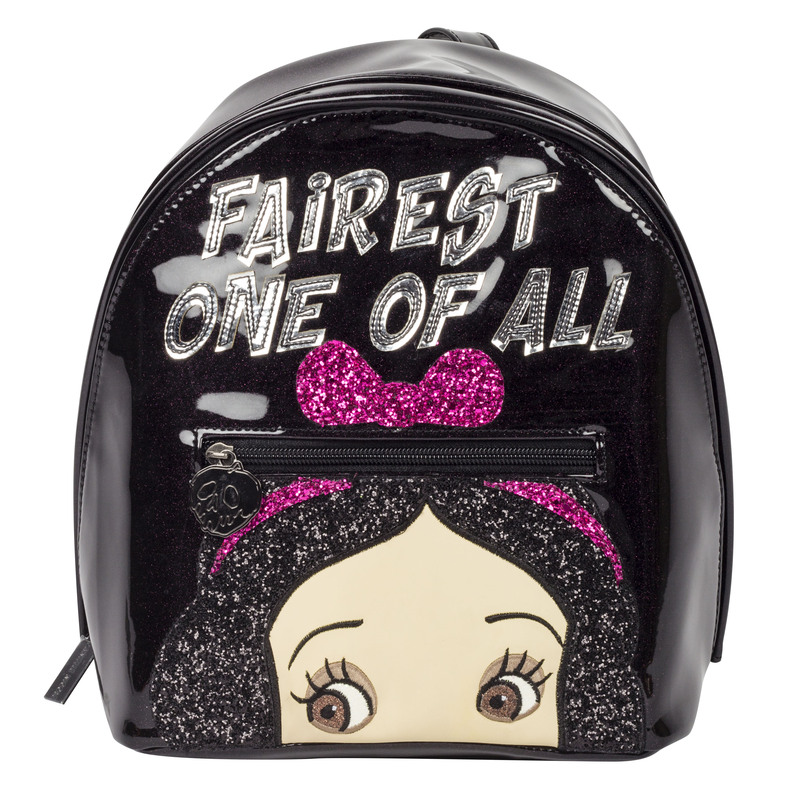 All the little darlings in your life will love this super glam backpack. And hey, no one is stopping you from treating yourself to one too. 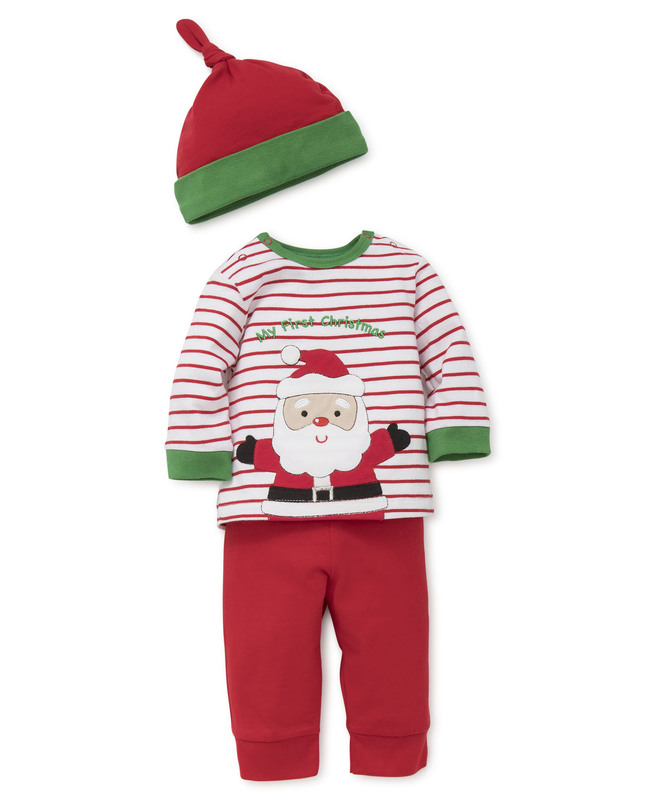 If your newborn needs some Christmas pajamas, why not pick up this cute set? It features finished snaps at the neckline and around the legs for easy changing. 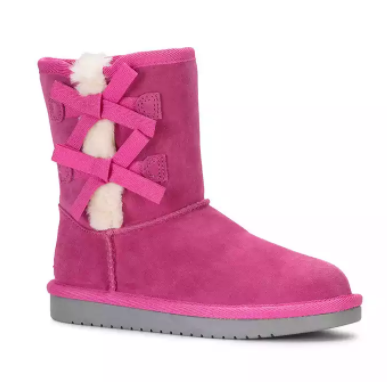 These comfy slippers come with a USB cord to heat up their toes all winter long. 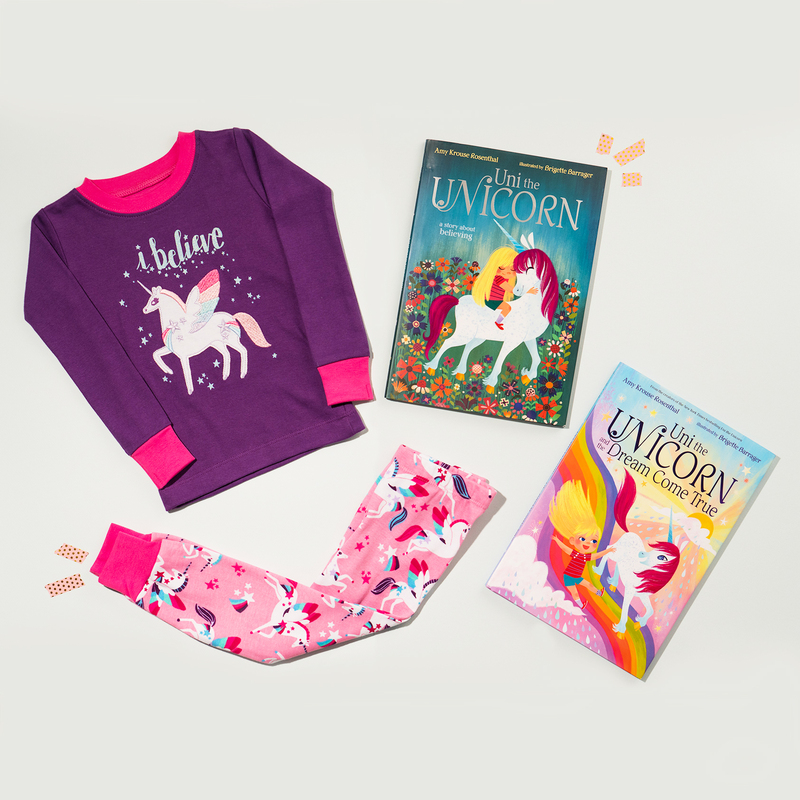 Unicorn lovers will adore this colorful set, which comes with two books and a stylish pair of unicorn pajamas. 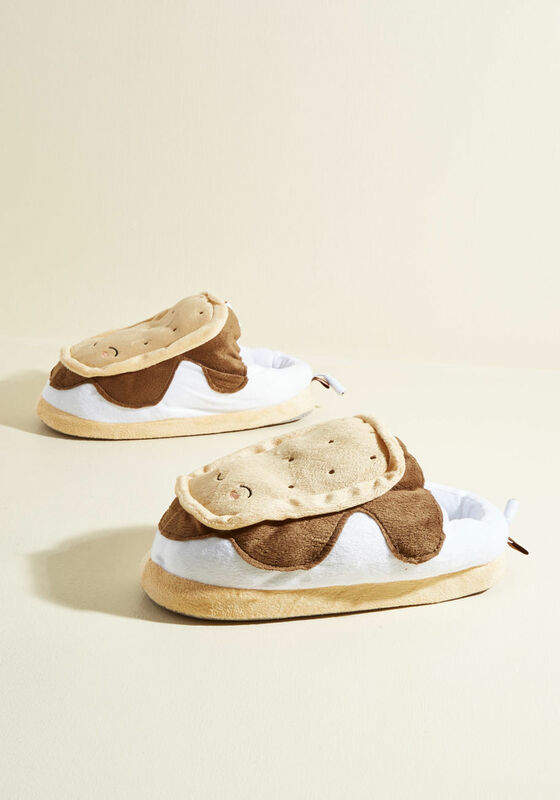 Gift these ultra comfy and ultra cute Koolaburra shoes, which comes in four classic colors. 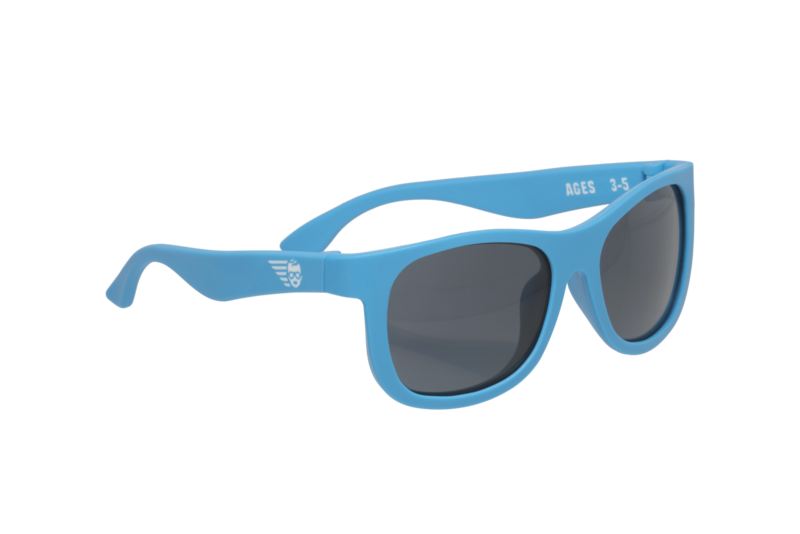 If your baby loves to soak up the sun, chances are they will need these cool and colorful sunglasses. 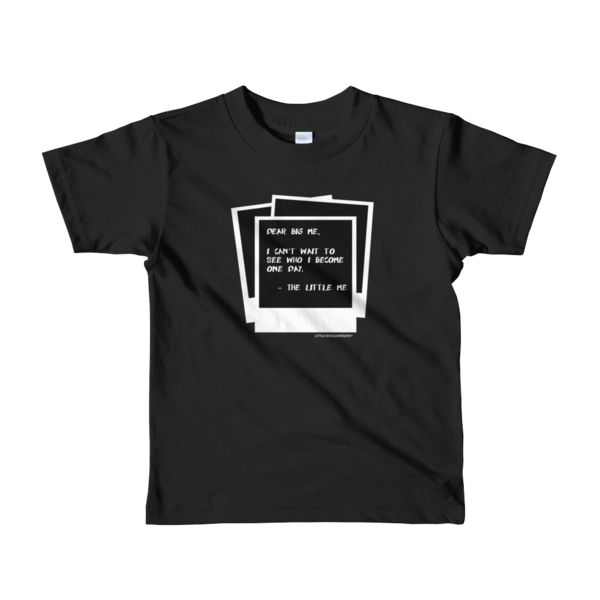 This unisex tee is perfect for all the little dudes and ladies on your shopping list. 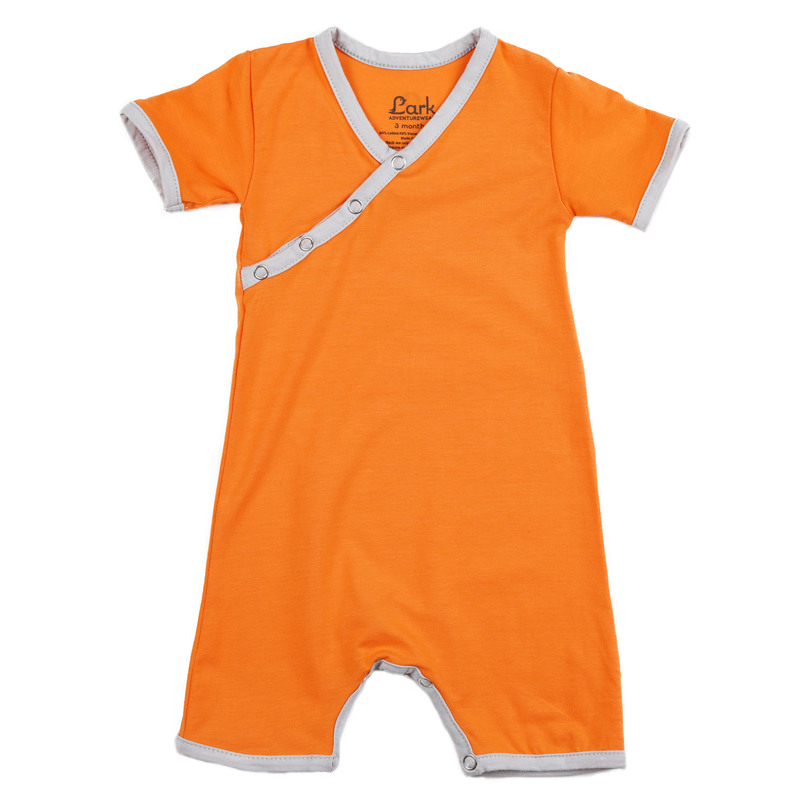 This classic romper is made with moisture-wicking technology to keep your little one cool and comfortable. 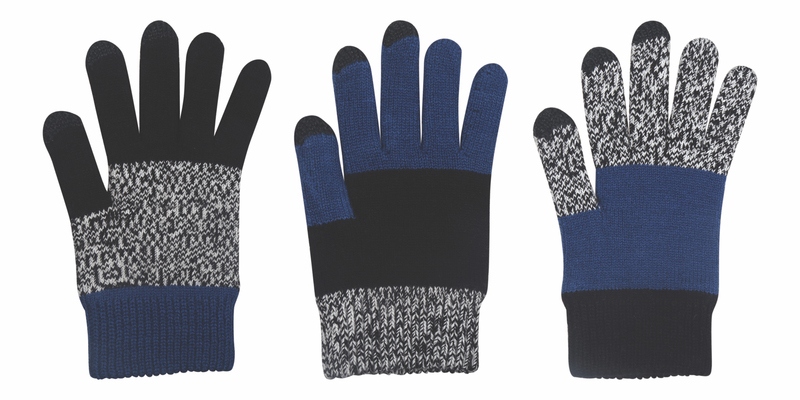 Any kid will love this pair of interchangeable gloves. The best part? They’re touchscreen-friendly. Image Courtesy Of Mother Trucker & Co. 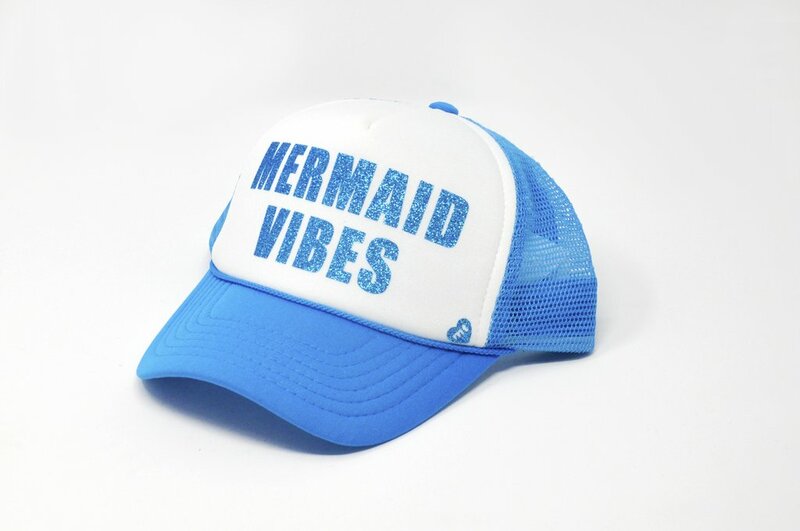 Treat all your little mermaids to this super awesome baseball cap. 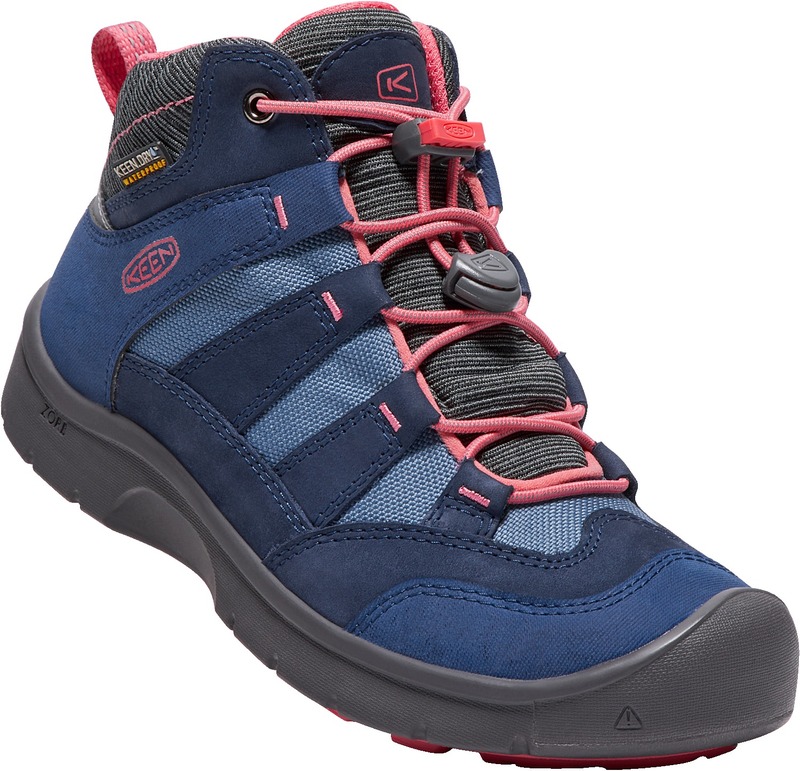 This outdoorsy shoe is perfect for the little explorer on your list. 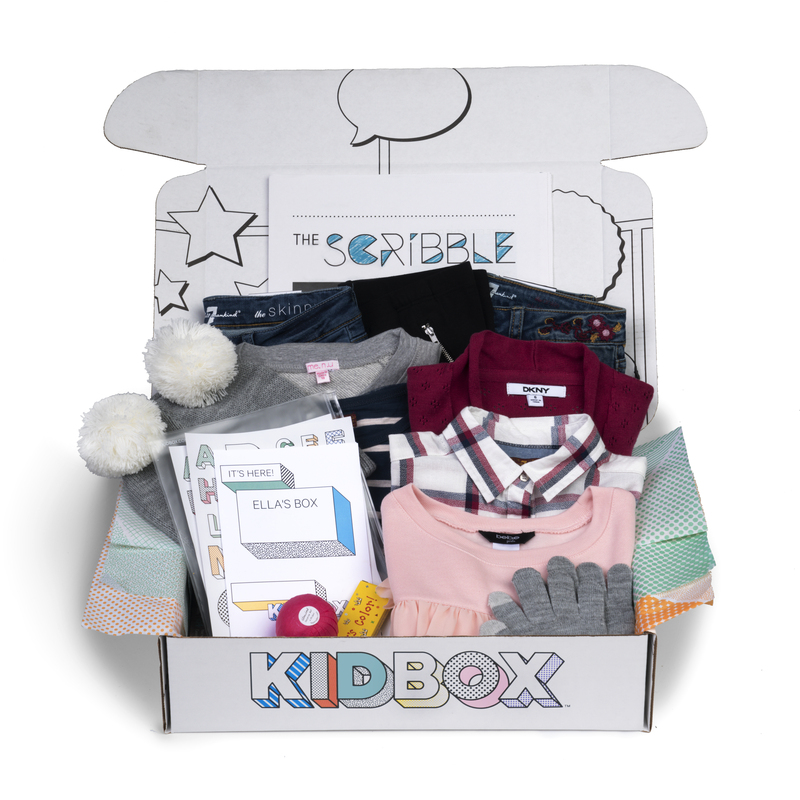 This fun style box features five to eight kid items (depending on which box you choose) from brands like Jessica Simpson, Adidas, and Puma. 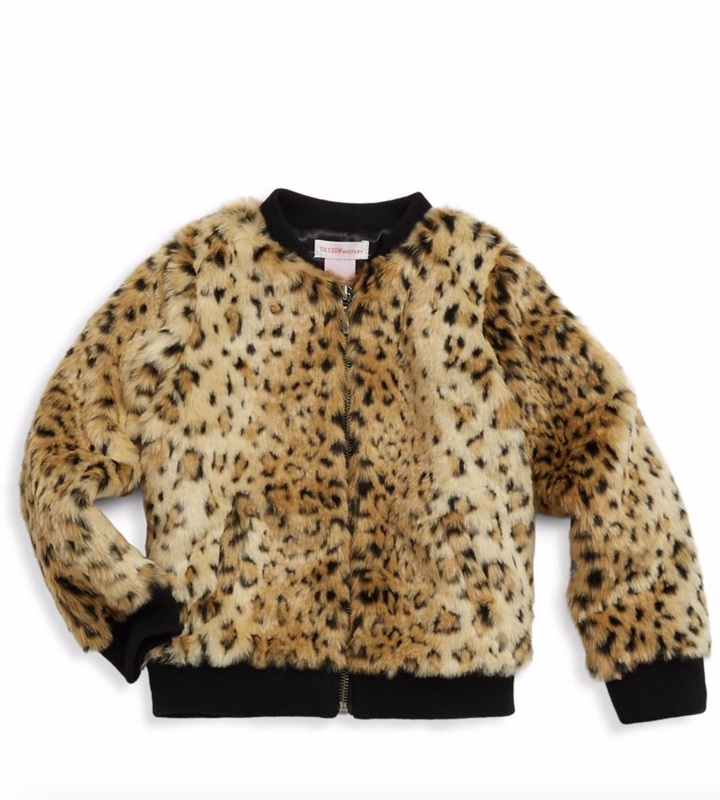 This fashion-forward faux fur jacket is perfect for all of the Cheetah Girls watch parties your little one plans on having after getting this jacket. 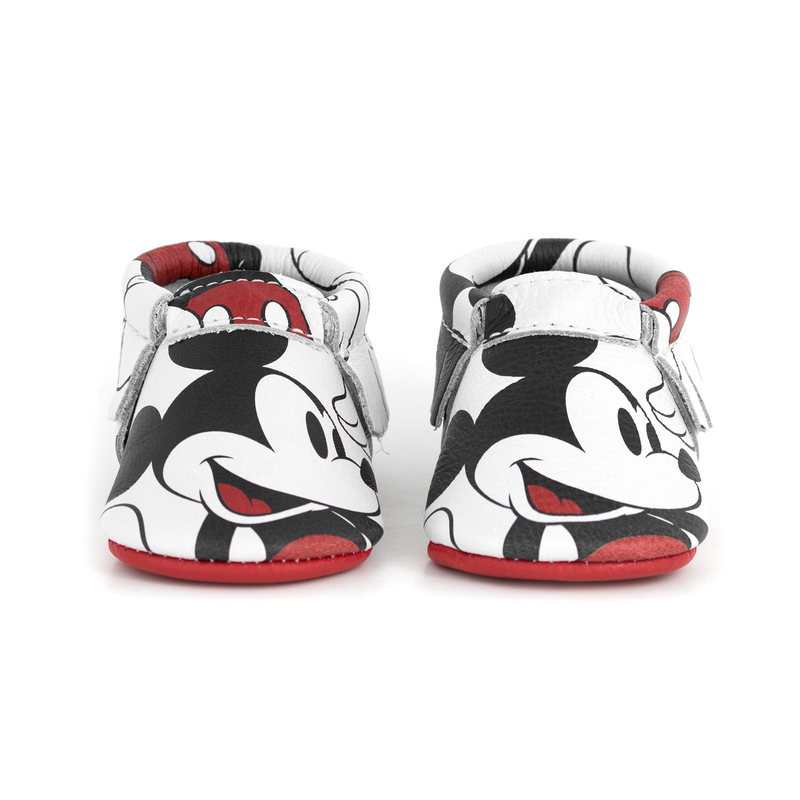 These easy-to-take-off baby moccasins feature a fun Mickey Mouse print. 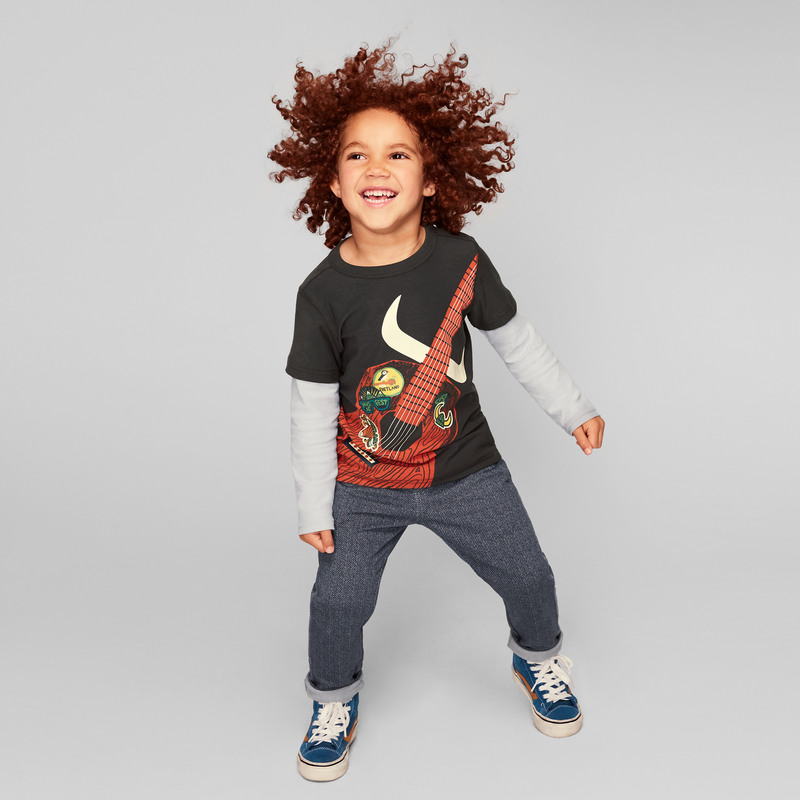 This graphic guitar tee is sure to be their all-time favorite shirt. 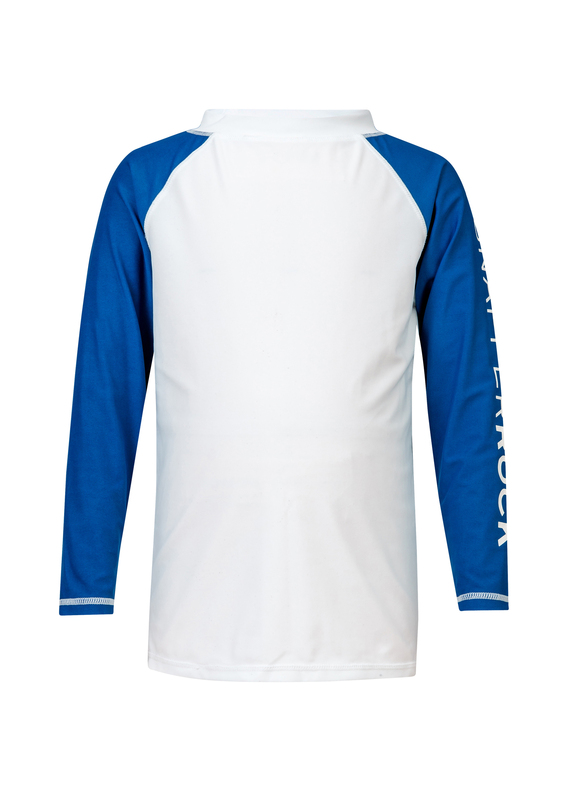 Little surfer dudes on your list will love this rash top, which blocks harmful UVA and UVB rays. 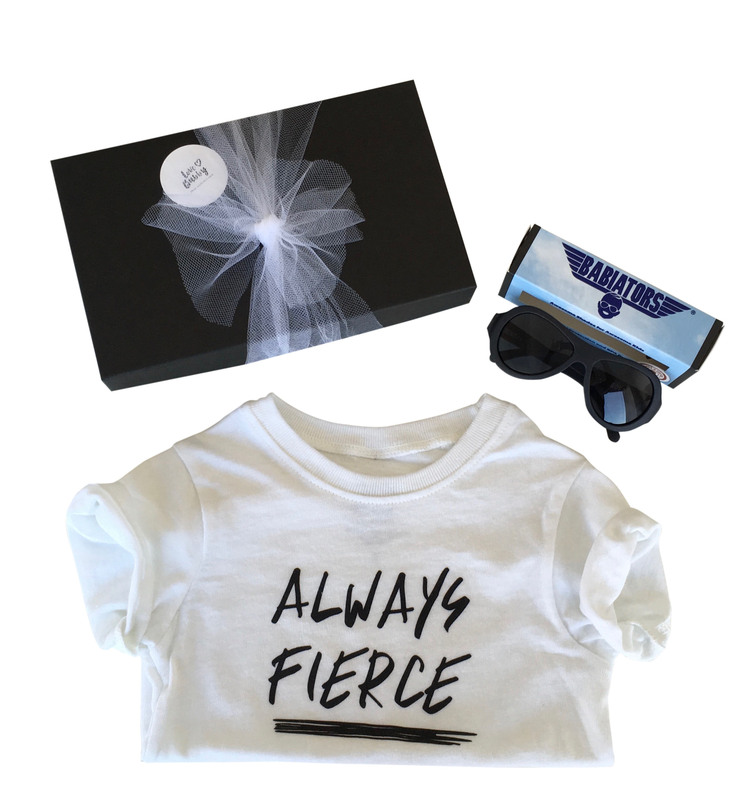 This fun gift set is perfect for all the fierce kids on your list. 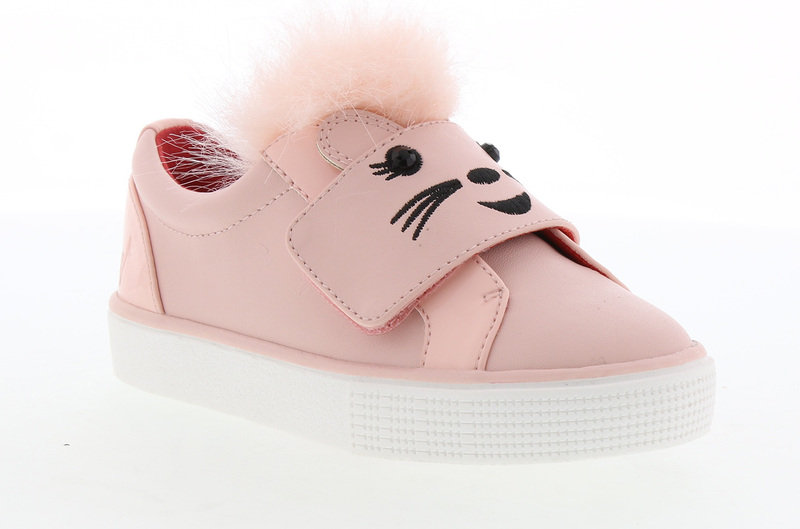 Seriously, this adorable fuzzy sneaker will make any fashionista mom happy. This 100 percent cotton set will guarantee your little rugrat only the sweetest of dreams. These adorable baby leggings are friendly on any budget.